You’re preparing for your retirement and wondering how to protect everything you’ve worked so hard to achieve. 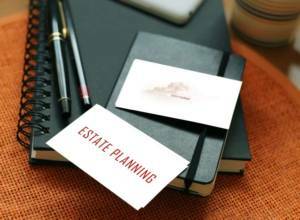 You don’t want creditors to come around and take your estate—you want to make sure the property, money, and investments go to your family. One way of doing this is to establish a trust. What is a trust? A trust is a relationship between two people. The first person, the settlor, agrees to give property to the second person, the trustee, to manage for other people, called the beneficiaries. Why do this? First, it can reduce the taxes paid by your family and can control how the money is dispersed. We know what you’re thinking—a trust is only for rich people. But that’s not true. Trusts are very effective for middle class Canadians as well, as it provides them a great opportunity to plan for their future and take care of their families. For example, let’s say you own a nice home in north Burnaby (mortgage paid off), have been working a good, middle class job for the last 30 years, and are starting to plan your estate for the future. You have invested in an RRSP (which is actually a trust), and have some other investments in Vancouver. Why set up a trust? The best reason is to protect your assets. You sign over your home to your trustee, essentially saying that you no longer own the house. The trustee also doesn’t own the house, because they are only the owner of the trust, not the house. And your beneficiaries don’t own the house either. Essentially, no one legally owns the house and no creditors can make a claim on it. But trust law can be very confusing. That’s why it’s best to talk to an accountant before deciding whether this is the right choice for you.